How long will my case take? Our Syracuse personal injury lawyers get this question all the time. The answer, believe it or not, is, “it depends”. What does it depend on? It depends on a lot of things but the main thing it depends on is your injury and your treatment. 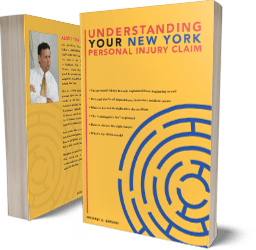 If you are continuing to treat for your injury and continuing to improve and get better or there is even a possibility of you getting better, improving, your personal injury attorney can't settle your case, regardless of whether it is in Syracuse or elsewhere in New York State, at least not in a way that does you justice. That’s because your lawyer won’t know what your case is worth until your doctor can tell him what, if any, your permanent limitations, pain and suffering, and future medical expenses or lost income are likely to be. Most doctors won’t tell your lawyer that as long as you are still improving. If your attorney settles your case BEFORE your doctor is ready to state that your injury is a permanent, and before he is ready to describe the nature of your permanent limitations and pain and likely permanent treatment, your lawyer will be selling you short. The insurance company will not pay you for any of the future losses without proof that the injury is permanent. That is why our Syracuse personal injury attorneys are very dependent on what your doctor tells us, and when your doctor is willing and able to tell us what your future will be like. On the other hand, if your injuries are not so serious and you get better quickly, we can settle your case quickly. It will of course settle for less money than a serious, permanent injury, but will likely settle much more quickly. Here’s an example: If you have a broken toe from the accident and it heals perfectly within 6 months, we can likely settle your case shortly thereafter. But if you suffered a very severe injury, such as a broken back with spinal surgery and long-term loss of use of your spine, we likely cannot settle your case for at least a year and probably closer to two years after the accident. This is just common sense, really. In sum, either you've gotten all better and all your losses are in the past, in which case we can quickly settle, or we are claiming permanent injuries, in which case we usually have to wait until your doctor gives us the “green light” on stating the permanent nature of your injuries. That can take more than a year if you're seriously injured. You might get surgery after a year and then we have to wait and see the results of your surgery and how you turn out. So the bottom line is this: Your personal injury attorneys, whether in Syracuse or in any other place in New York, do not determine how long your case will take. It’s really the nature of your injuries and your doctor who determine it. One more thing we should mention: Even if you have a not-so-severe injury that heals quickly, your case may take longer to settle if the insurance company won’t make a reasonable settlement offer. In that case, we will recommend to you (the decision is yours) allow us to sue them to force a better offer or, if no better offer is forthcoming, allow us to take the case to a jury trial. All of this "litigation” will delay settlement. You should listen to your doctor, try and get better as best you can, and when the doctor can't do anything more for you, that's usually when he or she is ready to give an opinion on your future. And that’s when we, if we are your lawyers, step up to the plate and try to get you as much compensation as we can to compensate you for all you've been through and all you will go through. If you don’t have a personal injury lawyer yet, don’t hesitate to contact our Syracuse personal injury attorneys for a free consultation.